Adam and team snapped hundreds of aerial images using their “eBee drones” to create a detailed set of 2D maps and 3D terrain models of the disaster-affected areas where partner Medair works. This is the first time that the Swiss humanitarian organization Medair is using UAVs to inform their recovery and rehabilitation programs. They plan to use the UAV maps & models of Tacloban and hard-hit areas in Leyte to assist in assessing “where the greatest need is” and what level of “assistance should be given to affected families as they continue to recover” (1). To this end, having accurate aerial images of these affected areas will allow the Swiss organization to “address the needs of individual households and advocate on their behalf when necessary” (2). 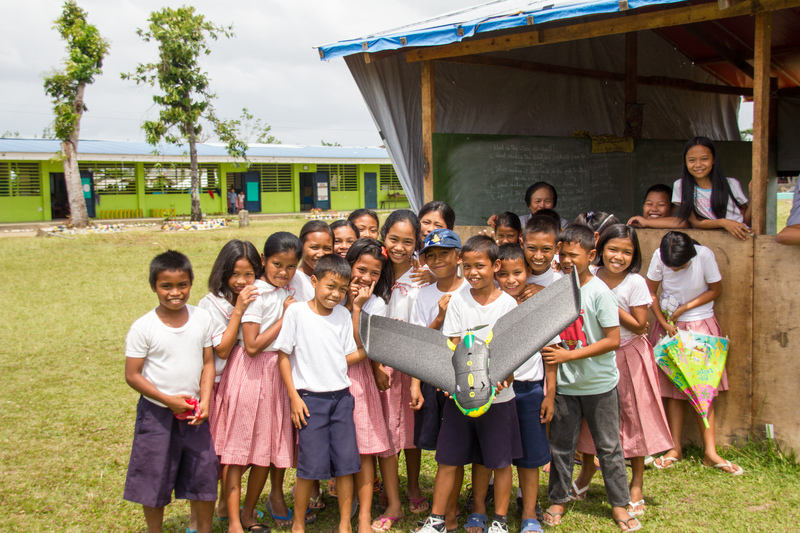 An eBee Drone also flew over Dulag, north of Leyte, where more than 80% of the homes and croplands were destroyed following Typhoon Yolanda. Medair is providing both materials and expertise to build new shelters in Dulag. As one Medair representative noted during the UAV flights, “Recovery from a disaster of this magnitude can be complex. The maps produced from the images taken by the drones will give everyone, including community members themselves, an opportunity to better understand not only where the greatest needs are, but also their potential solutions” (3). The partners are also committed to Open Data: “The images will be made public for free online, enabling community leaders and humanitarian organizations to use the information to coordinate reconstruction efforts” (4). The pictures of the Philippines mission below were very kindly shared by Adam who asked that they be credited to DroneAdventures. 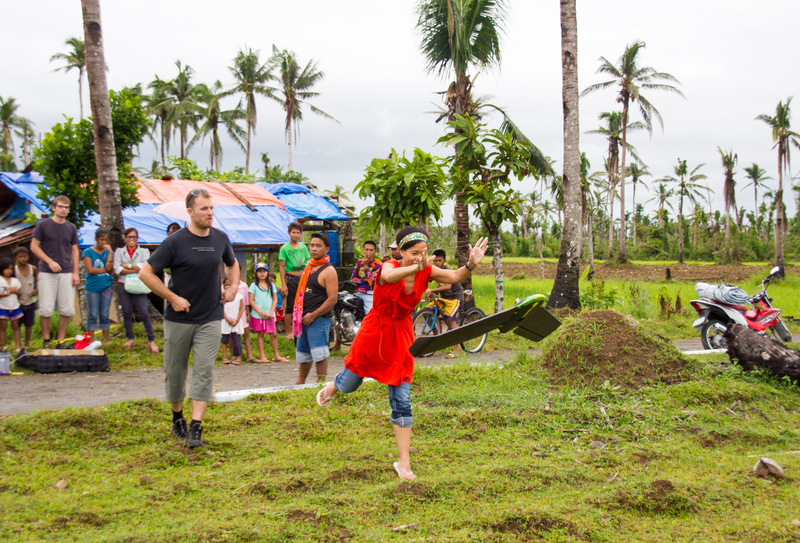 At the request of the local Mayor, DroneAdventures and MedAir also took aerial images of a relatively undamaged area some 15 kilometers north of Tacloban, which is where the city government is looking to relocate families displaced by Typhoon Yolanda. During the deployment, Adam noted that “Lightweight drones such as the eBee are safe and easy to operate and can provide crucial imagery at a precision and speed unattainable by satellite imagery. Their relatively low cost of deployment make the technology attainable even by small communities throughout the developing world. Not only can drones be deployed immediately following a disaster in order to assess damage and provide detailed information to first-responders like Medair, but they can also assist community leaders in planning recovery efforts” (5). As the Medair rep added, “You can just push a button or launch them by hand to see them fly, and you don’t need a remote anymore—they are guided by GPS and are inherently safe” (6). I really look forward to meeting up with Adam and the DroneAdventures team at the senseFly office in Lausanne next month to learn more about their recent work and future plans. I will also be asking the team for their feedback and guidance on the Humanitarian UAV Network (UAViators) that I am launching. So stay tuned for updates! 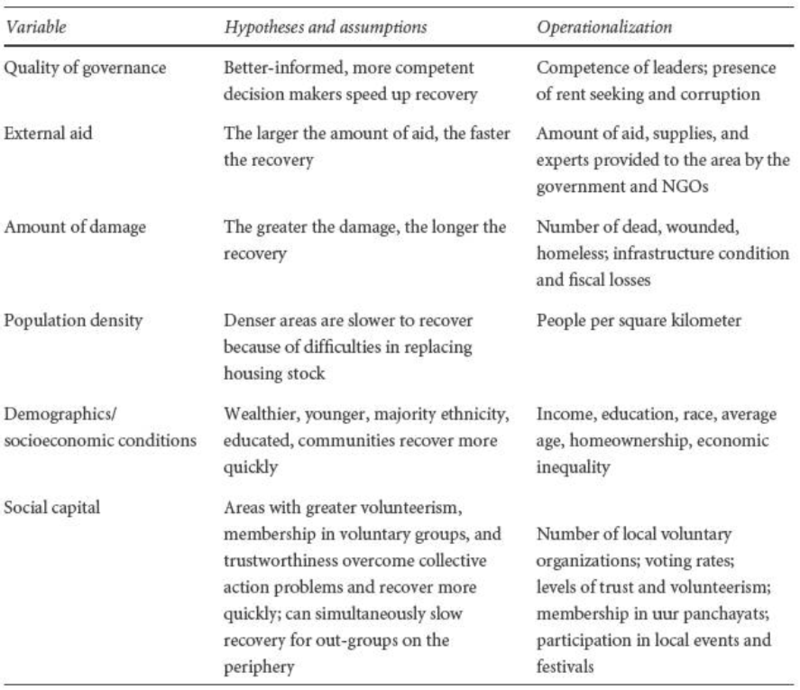 Does Social Capital Drive Disaster Resilience? The link between social capital and disaster resilience is increasingly accepted. In “Building Resilience: Social Capital in Post-Disaster Recover,” Daniel Aldrich draws on both qualitative and quantitative evidence to demonstrate that “social resources, at least as much as material ones, prove to be the foundation for re-silience and recovery.” His case studies suggest that social capital is more important for disaster resilience than physical and financial capital, and more im-portant than conventional explanations. 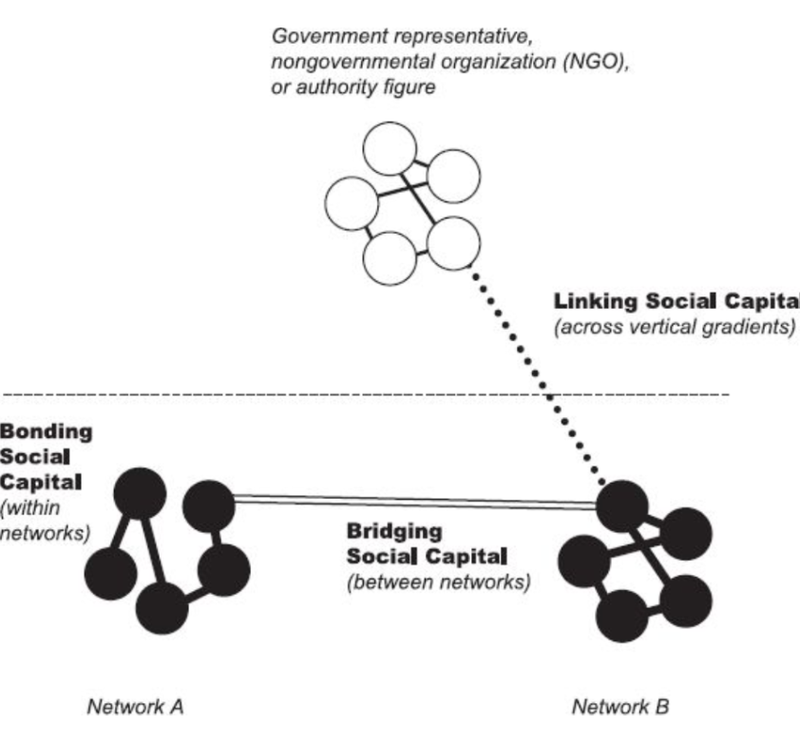 The author brings conceptual clarity to the notion of social capital when he unpacks the term into Bonding Capital, Bridging Capital and Linking Capital. The figure above explains how these differ but relate to each other. The way this relates and applies to digital humanitarian response is explored in this blog post.